What's so special about RDU service that you can't get from anywhere else in the DL network? I would suspect that DL would targeting AA FFs who'd fly PIT-RDU, similar to what DL appears to be doing on PIT-BOS. Also, RDU is a pretty significant high-tech and medical employment hub, so a direct flight might be viable between the two regions (which might be preferable to 9x weekday service to ATL and changing planes at ATL to continue to RDU). And, RDU is a DL focus city last I checked. With Icelandair taking control of Wow Air both brands are stated to remain separate for now but I wonder if that may change, or if FI could be taking over some WW routes? I like the FI brand and would love to see them take over the PIT route. Going after B6 customers, and flowing their PIT-Europe passengers through their growing BOS hub now that they no longer operate PIT-CDG. Exactly right DL is in the process of starting a full on war with B6 in BOS. They are ramping up on B6's high frequency and heavily profitable routes like BOS-PIT. While at the same time funneling the additional PIT TATL Skyteam traffic thru BOS. The one nice benefit for us is it means super cheap ticket prices to BOS. As far as "rust belt city" goes. I know people around here see that phrase as a slap to the face. But unfortunately outside the immediate area, its still a pretty common way to refer to Pittsburgh, Cleveland, etc. Just got to roll with the punches and be happy the Burgh is making headlines. For myself I'd prefer that it stay WOW. I like the WOW service and price structure, and the only bad things (IMO) about WOW were consistent lateness and lack of TSA Pre. The FI takeover should fix the latter, sooner or later, and a couple more A320 NEO's in the system would help to fix the former. I think it would make the most sense for them to have their two brands serve different customer segments. Now that FI doesn't have to compete with rock bottom prices. I could see them positioning FI as a more expensive premium business carrier while letting WOW serve the markets that will work better with low cost leisure travel. I don't foresee that FI will be showing up in PIT anytime soon. But I think WOW could leave some of the big U.S. business markets while FI ramps up more. The funny thing is that nearly all of my WOW travel *is* business (TATL). The less I pay in airfare, the lower the company's travel expenses and the better chance for a good year-end bonus for everyone (the bonus is a fixed formula, not a manager whim sort of thing). But yeah, I hope you are right. Without the need to generate fancy growth and size numbers to impress bankers, it ought to be possible to run WOW as an efficient low cost option on selected routes, and leave FI running the big name routes. I know what you mean, I follow a similar line of thinking for business travel. But I'm speaking more to the higher up executives/managers at big companies that have it written into their company policies that they are always booked business class for TATL. - I agree the larger, longer, and more prestigious routes will go to FI including WW's A330 routes. This would include New Delhi, which is being heavily promoted by both WW and the ACAA. - WW has not yet loaded their PIT schedule for the summer. - FI still offers a very competitive fare to Europe over the legacies on both side of the pond. A $400 fare might not be as low as WW's $99 fare but it is still a dirt cheap fare to Europe. I'm looking beyond the Icelandic carriers and thinking FI at PIT would be a good thing for Condor. I'm also hoping it stays WOW. I think the three are perfectly segmented at the moment, and FI starts to move into Condor / BA territory with their product. I know a lot of people here that are now able to take spur of the moment weekend trips to Europe. Not to mention WOW has also built heavy brand recognition in town over the last two years – best to keep with it. I'm looking beyond the Icelandic carriers and thinking FI at PIT would be a good thing for Condor. Just curious, why would that be a good thing for Condor? Interesting development on the whole. Sounds like the carriers will be kept separate, which I think is a smart move. So many people associate WOW with the low fares that make them say "WOW." But if nothing else, hopefully this could provide more options and flexibility at the KEF hub between the two airlines. WW from PIT and FL to somewhere in Europe perhaps? Pittsburgh may be an ok market for FI, but it’s probably still best served by WW. PIT doesn’t generate enough high-yielding traffic to justify a switch from WW to FI. But playing the role of devil’s advocate, WW’s loads in the winter were consistently in the 60-70% range and I don’t think they’ve ever touched 90% averages in the summer. Maybe an FI B38M could help right-size capacity a bit. WW has only one A32N in their fleet where if anything were to go wrong, a wrench gets thrown into aircraft scheduling and utilization, which leads to delays that we’ve seen quite a few of with WW at PIT. Personally, I don’t see much changing at PIT, with the possible exception of the chance that FI and WW retool their fleets. If you were Condor (or BA for that matter) would you rather compete with WW's fares, or FI's fares? I agree with someone above that said FI wouldn't work here. I agree. What makes WW work in PIT is the low fares. Is WW working in PIT though? I mean, are they profitable here? WW didn't work in STL, CLE, and CVG; $99 fares are not sustainable. Its not like FI is a high end premium carrier charging exorbitant fares. They were the first low cost trans-Atlantic carrier and has decades of consistency in that arena. I'd rather have a carrier with that kind of consistency, dependability, reputation, and a proven business model instead of one that is willing to pull the plug at a moment's notice like they did in the Midwest. Even if it costs a few more bucks. Having said that I'd just be happy to see PIT-KEF continue in some fashion. I see that Alaska is sending their "more to love"
My opinion CLE And PIT are too close together to both offer service to KEF on sister airlines. I’m not sure if anyone outside of WOW has any data but it was likely the case that the CLE station for WOW took business away from PIT. I suppose if someone wins between the two cities, my money would be on PIT, as WOW is evidently satisfied evoygh to keep flying year round. Not true with Icelandair in CLE. Let's wait to see if WW has PIT on their summer schedule first before we decide which one should stay (even though I don't think one really has much of an effect on the other). CLE already has their service scheduled. If you are Icelandair wouldn't you want to give your flagship the business over the WW brand? Plus they have no TATL competition in CLE. I am not sure the WW brand stays around for long anyway, even if they are saying it will for now. The reason why WW may not have loaded PIT yet is that the two year subsidy exprires sometime in 2019. It’s possible that they are still evaluating what to do with PIT now that the flight won’t get funding anymore starting in a few months from now. Several PHL-bound diversions tonight including an AA A332 from MCO. Also, this DL MD-88 en route BUF-ATL did an immediate u-turn over West Virginia and diverted to PIT this afternoon. Anyone know why? Disregard. Just found out it was a medical. Lots of C-17 touch-and-goes this afternoon and into the evening. Are the first delivered tails now on station? None on station yet but oddly enough, there is a C-130H over by Atlantic this morning that still has 911th AW markings, Pittsburgh tail flash, etc. I thought all 8 of them had officially been transferred to other bases, so I’m very surprised to see at least one is still out there. Tail 87-0282. I was hoping to get some help from someone on this threads... This afternoon (Weds), i was driving across the West End Bridge and noticed a 2 engined prop plane (looked like a cargo plane or skydiving one, as i think the back opened). Anyways, it was doing circles around the city and it dropped something out that was suspended in the air. Very confused who and what this was. It was not a military plane as it was white/back. Anyone else notice a complete lack of advertising for BA? When DL announced PIT-CDG it was being promoted all over the place. 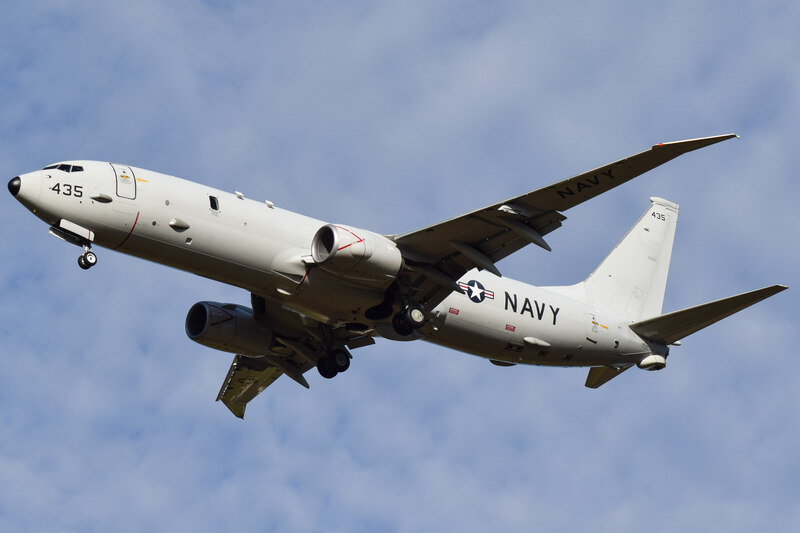 There was a P-8 from NAS Jacksonville that flew down from CGAS Cape Cod and did pattern work here this afternoon. Although based off of your description, I'm not sure if that's what you saw. While not a prop, it was the largest noticeable plane here today that was all-white. I've seen some ads inside the airport for it, but not many in the surrounding area. The AS flight however is plastered literally everywhere, almost as much as the flights to Europe. Huge banner at landside, on the big screens every two minutes at airside, even saw a billboard in Bridgeville advertising the flight. Seen them, B6, and AC pop up as ads here on A.net recently. As well as the airport for LAX, SFO, and SEA service. Last edited by Runway28L on Wed Nov 07, 2018 11:23 pm, edited 1 time in total. I'd give the BA advertising a little bit of time – I'm sure there's a large campaign in the works. 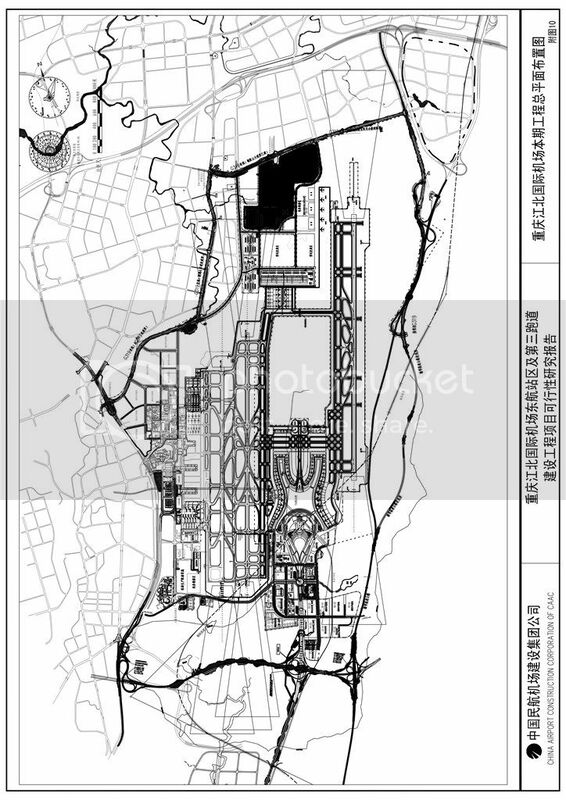 With the exception of 14/32 the similarity in basic layout between PIT (and our future terminal) and Chongqing is pretty striking. We haven't heard much lately on the master plan process but I really hope they are backing off on the idea of spending money to eliminate a runway. The last I heard, there was a 130 that was discovered to be unairworthy and likely would never be flown again. I believe it had cracks in the spar, but I'm not 100% certain on that. Well that’s interesting if that’s the case. So I would assume it’s been here the entire summer, which makes me very curious as to where they’ve had it stored this whole time. Because today may have been the first day it was wheeled outside. Thanks, but that wasn't it. This plane was clearly a propeller plane (wings overhead), white body. It dropped something, but whatever it dropped didn't fall, it floated in the air in one place as the plane made circles around the city. Does anyone have a way to check? This was between 330pm to 5pm. I was about to reply back since I just found out what it was, but you beat me to it. It was the US Army Golden Knights. They are doing a troop drop for the Steelers game tomorrow night. Those "things" you saw jumping out were either the paratroopers or the black/yellow strands they drop as they did a couple practice runs in preparation for tomorrow night. Pretty sure they are flying out of AGC as I did not see them at PIT today. I believe you are correct. That tail is marked for display on the base, from what I heard. I'm not really sure what NK's current service levels to Florida are, but PIT is mentioned in this article as part of the "Florida Gets Huge Spirit Expansion"
According to PIT's website map, Tampa was 3x weekly, and Ft Myers was always 1x daily seasonal. 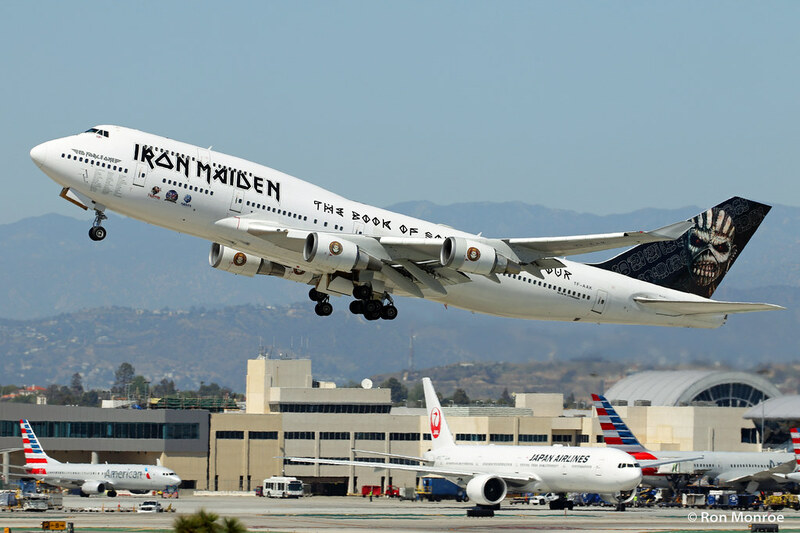 Iron Maiden will be in town next August so hopefully Ed Force One will be used. I located the November 2017 non-stop flights page from PIT's website, it shows NK's seasonal service to RSW and TPA was daily back then. Airways Mag is wrong. Neither the routes nor the frequency to PIT are new at all. Just checked the WW schedule. 3x per week through March. No flights loaded after that. It's 4x weekly through March. No changes whatsoever for WW's PIT schedule. They are probably asking for more handouts to continue flights past March. Yes, 4x weekly. Hit the wrong key. Price checked flights on WW for mid-Feb, and noticed that we are getting planes with the premium Big Seats available now. I don't ever remember seeing that as an option before. I don't know if it's a matter of these new premium seats being rolled out network-wide or if this is a sign of WW's commitment to PIT. I'd like to think that it might be the latter, though the addition of BA to the PIT-Europe market might be a major factor in any decision to stay in Pittsburgh. Off the wall Pittsburgh question: Is Polish Hill an up-and-coming neighborhood? Investable real estate? I seriously doubt it, to be honest. Maybe if you get people who are priced out of (some combination of) the Strip District, Lawrenceville, Bloomfield or Oakland, but the reason I have my doubts is that parking is practically non-existent in Polish Hill. It's location makes it relatively isolated compared to other neighborhoods in the city because it's not exactly the easiest area to access from, say, the Penn/Liberty Ave. corridor or from Bigelow Blvd. Not every neighborhood in the city has to be the next South Side or Lawrenceville. It is viewed as desirable, but is very tight knit. It is kind of an arts / aging punks neighborhood where folks have studios, and own their own homes. Think punks who are now adulting. While still gritty, it's hard to buy a house there because houses are sold to friends before they go on the market. So while it doesn't have condo developments (impossible there due to topography and neighborhood groups), it is a quietly ascendant neighborhood. IIRC WW's A320neo has always been 4C 174Y, so it's technically not new for PIT to have the big premium seats offered as TF-NEO has operated the flight numerous times. The 200Y A321s that we've received in the summer obviously do not have any premium seats. BTW, looks like PIT-KEF is permanently downgraded to the A320neo this winter unlike last year. We don't get HQ2, Nashville gets an Ops center with 5,000 jobs and WN just announced five new routes from BNA. Been to Nashville many times. Frustrating.